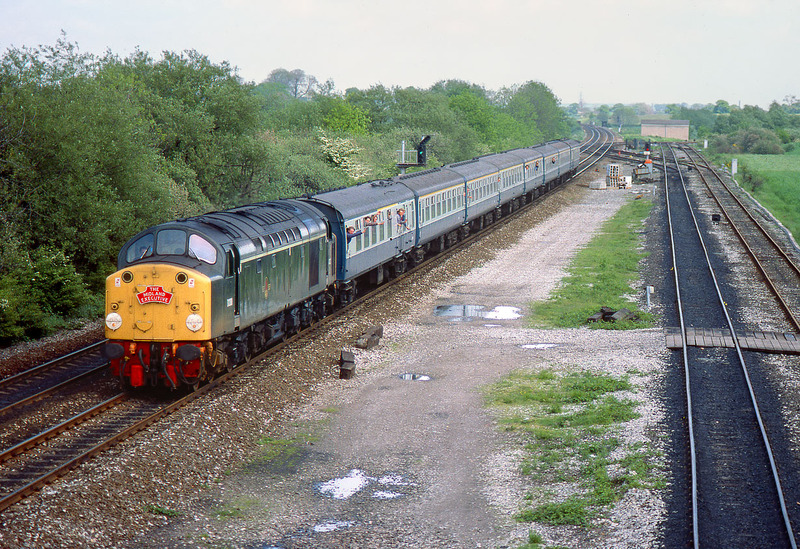 D200 passes Stenson Junction on 2 June 1984 with the R.E.S.L. Waterloo to Crewe 'Midland Executive' railtour. Not the only railtour to pass this spot on this day, as the same organiser was also running the Midland Engineer, worked by a Class 115 DMU.